Phalo Business Solutions (PBS), is 51% owned by Lumkile Matyunjwa with the remaining 49% owned by The Smart Idea Company. As a company committed to transformation in South Africa, we have real transformation in process between TSG and PBS. PBS leverages off the considerable logistics, managerial support and expertise of The Smart Idea Group (TSG) nationally. “We at TSG are thrilled to partner with the notable skills and passion which Lumkile exudes. 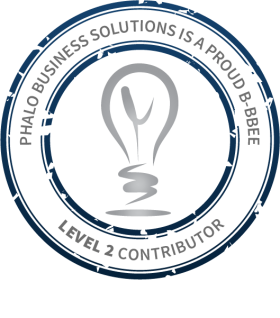 We foresee great opportunities for Phalo Business Solutions as a Level 2 BBBEE contributor, to provide companies of all sizes with world class communication solutions including Data, Voice, Printed and Visual solutions to the greater corporate market”, commented TSG MD, Steve Tetluk on the announcement of the partnership between Lumkile Matyunjwa and TSG in Phalo Business Solutions.